Filed with FERC 13 November 2014, Comment filed on behalf of Nonami Oglethorpe, LLC by Davis, Pickren, Seydel & Sneed, LLP under PF14-1. This Firm represents Nonami Oglethorpe, LLC (“Nonami”), owner of Nonami Plantation in Dougherty County, Georgia (“Property”). 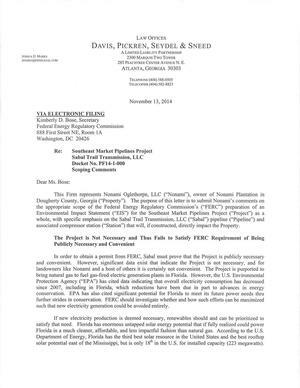 The purpose ofthis letter is to submit Nonami’s comments on the appropriate scope of the Federal Energy Regulatory Commission’s (“FERC”) preparation of an Environmental impact Statement (“EIS”) for the Southeast Market Pipelines Project (“Project”) as a Whole, with specific emphasis on the Sabal Trail Transmission, LLC (“Sabal”) pipeline (“Pipeline”) and associated compressor station (“Station”) that will, if constructed, directly impact the Property. 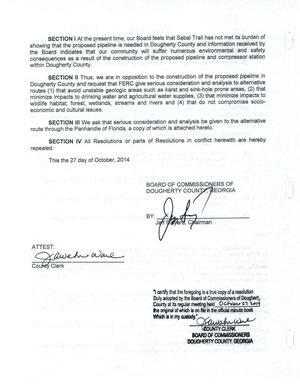 In order to obtain a permit from FERC, Sabal must prove that the Project is publicly necessary and convenient. However, signiﬁcant data exist that indicate the Project is not necessary, and for landowners like Nonami and a host of others it is certainly not convenient. The Project is purported to bring natural gas to fuel gas-ﬁred electric generation plants in Florida. However, the U.S. Environmental Protection Agency (“EPA”) has cited dam indicating that overall electricity consumption has decreased since 2007, including in Florida, which reductions have been due in part to advances in energy conservation. EPA has also cited signiﬁcant potential for Florida to meet its future power needs thru further strides in conservation. FERC should investigate Whether and how such efforts can be maximized such that new electricity generation could be avoided entirely. If new electricity production is deemed necessary, renewables should and can be prioritized to satisfy that need. Florida has enormous untapped solar energy potential that if fully realized could power Florida in a much cleaner, affordable, and less impactful fashion than natural gas. According to the U.S. Department of Energy, Florida has the third best solar resource in the United States and the best rooftop solar potential east of the Mississippi, but is only 18th in the U.S. for installed capacity (223 megawatts). By comparison, the state of Georgia, which has lower solar resources, is moving forward with the installation of over 860MW in solar over the next several years. If Georgia can do it, Florida certainly can do that and much more. Florida utilities, including Sabal’s proponents, can and should focus on closing the State’s solar potential/installation gap by investing in both utility-scale and rooftop solar. 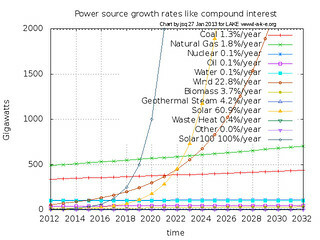 As former FERC Commission Chairman Wellinghoff has stated, “[s]olar is growing so fast it is going to overtake everything.” Nonami urges FERC to follow the advice of its former Chairman and push Sabal and its owners to pursue solar energy to satisfy their customers’ needs in Florida. To the extent that natural gas is needed in Florida, evidence suggests that existing and soon-to-be-constructed pipelines may have sufficient capacity to satisfy the State’s needs. FERC should require Sabal to definitively prove that such existing capacity is not sufficient. In addition, Sabal’s main customer, Florida Power and Light (“FPL”), a subsidiary of one of Sabal’s owners, apparently needs just half of the Project’s capacity, according to filings it has made with the Florida Public Service Commission. Moreover, significant evidence exists suggesting the infrastructure will be in place to allow for export of the excess gas in liquefied form, and that Sabal and/or FPL may be interested in selling the balance of the gas for export. Spectra Energy (“Spectra”), the other of Sabal’s owners, has been quoted as saying it wants to be the provider of choice for the developing LNG export market in the Gulf Coast region. Clearly, there can be no necessity for the US if up to half of the gas is exported. FERC should fully investigate these issues. Finally, with all of the gas slated for Florida, none of the citizens of Alabama or Georgia will benefit from this Project and will merely serve as a throughway. Certainly, when two of three states impacted by a project will see no benefit there is no public necessity. If Sabal is able to definitively prove that the Project is necessary, it should pursue alternative routes for the Pipeline that will be less harmful to the human and physical environments, public health and safety. There are up to eight alternative pipeline routes of which we are aware: four that Sabal has previously considered and four that FERC has recently required it to consider. All of these alternative routes would take advantage of existing pipeline or electric line rights-of-way and serve to reduce impacts on the physical and human environments. 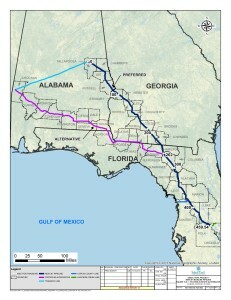 The alternative that appears the most logical is the “Station 85 to FGT Panhandle Route,” which would be a much shorter distance than Sabal’s proposed route by running south from the “Transco Station 85” in western Alabama to an existing pipeline right—of—way in the Florida Panhandle, and would minimize impacts to streams, wetlands, and other significant environmental resources in Alabama and Georgia. In addition, this and several other routes would wholly avoid the karst limestone area of southwest Georgia, most notably in Dougherty County, which, if pierced by the Pipeline, will pose significant hazards and risks to public health, safety and the environment, including the Property. Nonami urges FERC to require Sabal to more exhaustively investigate the “FGT Panhandle Route” and the rest of the alternative routes. At almost 9,000 acres in size, the Property is one of southwest Georgia’s preeminent, privately- owned conservation areas. It features extensive areas of significant conservation value, including over 3,300 acres of natural upland forest (including almost 1,000 acres of rare longleafpine), over 650 acres of bottomland hardwood forests, nearly 40 acres of depressional wetlands, numerous fresh water springs and seeps, and almost 5 miles of frontage along the Flint River. The mosaic of forest types and water resources on the Property provide habitat for a wealth of species of mammals, reptiles, amphibians, resident birds and migratory birds. The superior nature of the Property’s conservation values is reflected in their protection via a qualified Conservation Easement held by the Georgia Land Trust. All of these exceptional conservation values are likely to be sensitive to, and thus may be at risk from, the Pipeline and the Station. Nonami is very concerned about the potential risk of partial or total collapse of the Pipeline due to such sinkhole activity, and the resulting impacts from gas leaks, explosions and fire on Nonami’s employees and residents as well as the air, land, water and wildlife that make the Property so unique. There is also concern about sinkhole activity being induced by the trenching and boring necessary to install the Pipeline, and the potential for critical groundwater supplies to be diverted and contaminated during construction, The Pipeline will also be bored under the Flint River, which forms the eastern boundary of the Property for nearly five miles. Nonami is very concerned about the impacts to the River and its water quality and wildlife during construction as well as any leaks, mptures or explosions that may occur during operation; these risks should be thoroughly evaluated. Nonami is also gravely concerned that the risks will be exacerbated by the Pipeline’s collocation with two much older pipelines, the Dixie Pipeline and Southern Natural Gas (“SONAT”) Pipeline; all three pipelines will run together across the City of Albany’s water supply plant (“Water Plant”) just to the north of the Property before entering the Property itself. The Dixie and SONAT pipelines are both in excess of 50 years old, and were undoubtedly constructed and installed to less rigorous standards. The vast majority of pipeline leaks and explosions in recent years have occurred due to corrosion or equipment failure of pipes in excess of 40 years in age. If one or both of those lines should fail and in turn damage the much bigger Pipeline right next door, the results could be catastrophic to both the Water Plant and the Property. FERC should require Sabal to avoid the City of Atlanta Water Supply Plant and the Property in their entirety due to the risks involved. In reviewing Sabal’s air permit application for the Station, it appears the Station is projected to emit over 187,000 tons per year of CO2e, 57 tons per year of volatile organic compounds (“VOCs”), 46 tons per year of oxides of nitrogen (“NOX”), and lesser amounts of several hazardous air pollutants and particulate matter, The dispersion modeling appears to indicate that these emissions will travel onto the Property, which is less than 1/4 mile away to the southeast. It has been well established that NOX in the air can damage the leaves of plants, decrease their photosynthetic capacity, and decrease their growth. In addition, when deposited on land and in estuaries, lakes and streams, NOX can acidify and over- fertilize sensitive ecosystems resulting in a range of harmful deposition-related effects on plants, soils, water quality, and fish and wildlife (e.g., changes in biodiversity and loss of habitat, reduced tree growth, loss of fish species, and harmful algal blooms). VOCs are also known to impact the respiratory and neurological systems of wildlife, particularly birds due to their higher breathing rates and weaker systems. VOCs can also contaminate streams, impacting fish species, and can also impact invertebrates with thin, fleshy outer coverings. Individual or collective impacts such as these on the Property could have a devastating effect on the biological integrity that makes the Property so unique. In addition to the impacts of these pollutants on the natural environment of the Property, Nonami is also concerned about impacts to the health of its residents, employees and its neighbors. It is well established that NOX and VOCs especially have the potential to harm respiratory, cardiological, neurological, or kidney functions. Small levels ofNOx can cause nausea, irritated eyes and/or nose, liquid forming in the lungs and shortness of breath. Breathing in higher levels of NOX and VOCs can cause rapid, burning spasms, swelling ofthe throat, reduced oxygen intake and lung damage, dizziness, nausea, fatigue and nosebleeds, and can also be carcinogenic. The combination of VOCs with sunlight can form ground-level ozone, which can cause respiratory problems, chest pain, coughing and congestion. Another pollutant of concern from the Station is noise, Compressor stations are notorious for the amount of noise they emit during operations, and such noise can have a major impact on wildlife and people. Certain species depend heavily on hearing for courtship and mating, prey location, predator detection, and/or homing. Given the abundance of wildlife species on the Property, especially birds (both game and non-game), Nonami is gravely concerned that noise will disrupt the Property’s wildlife and especially the quail population, which is a central component of the Property’s well known hunting program. With regard to people, according to the World Health Organization, noise can cause permanent medical conditions such as hypertension and heart disease, hearing impairment, communication problems, sleep disturbance, cognitive effects such as memory problems, reduced performance, behavioral symptoms, and more. Low-frequency noise, which is caused by compressor stations, can also cause vibro-acoustic disease, leading to cardiovascular symptoms and decreased cognitive skills. Yet another issue of concern is the stability of the Station site. It appears it may sit directly above or adjacent to a compound sinkhole formation, which as discussed above poses a high risk of collapse, consequential rupture, and explosive emissions. As close neighbors of the Station, the Property, the Water Plant, and adjacent residents would likely receive the fallout of such an event. Because of all of the aforementioned impacts, Nonami urges FERC to require Sabal to consider alternative locations outside of the State of Georgia or out of Dougherty County for the Station. If no other location is deemed more feasible, then FERC should require that Sabal use electric powered compression (in lieu of gasified compression), which will significantly reduce the amount of air pollutants and noise emitted by the Station and in turn dramatically lessen the impacts on the ecological integrity, use, enjoyment and value of the Property. Electric compressors are widely used for natural gas compression in the gas industry, and facilities that use electric compressors elsewhere have discovered the payback period is relatively short, so there is not a significant economic hardship. Further, our understanding is that there is ready access to electricity distribution at or near the Station site. Moreover, we believe that on-site solar can and should be used to supplement the grid-based electricity that would be the primary power source for the Station. Accordingly, Sabal should be required to use an electric compressor as the best available control technology (“BACT”) for the Station. In addition, there needs to be comprehensive geological analysis to determine the long term safety and security of the site and require any safeguards necessary to prevent catastrophic collapse. Nonami would have grave concerns about the Project if its proponents had a perfect safety record. 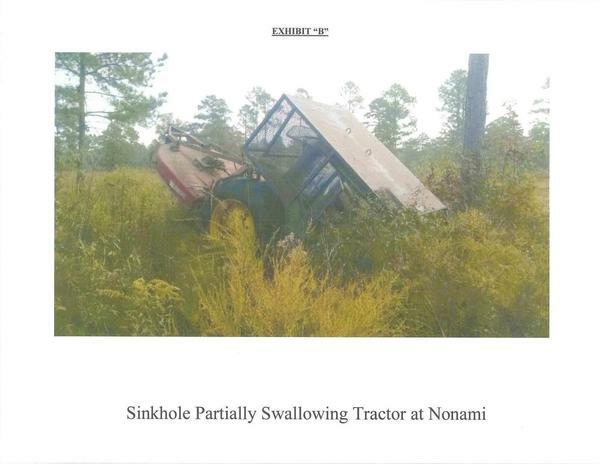 However, Nonami’s concerns are significantly compounded by evidence that Spectra, Sabal’s owner and primary operating entity, has had a very checkered history when it comes to safety. According to the federal Pipeline Hazardous Materials and Safety Administration (“PHMSA”), Spectra has had at least 21 safety-related incidents since 2006 resulting in $8.5 million in property damage. Less than 2 years ago, PHMSA fined Spectra $134,500 for violations of safety regulations. And just last year, after initially denying that any incident had even occurred, Spectra was forced to admit that its Steckman Ridge compressor station in Bedford County, Pennsylvania exploded in the middle of the night and released 431,500 cubic feet of volatile methane gas and other polluting hydrocarbons before Spectra was able to remotely shut the station down. Recordkeeping by local residents shows that there have been at least 60 shutdowns, blowdowns, and related incidents at the Steckman Ridge facility and its related natural gas storage facility since 2009, A similar event next to the Property would have catastrophic consequences. Further, over the past 30 years, Spectra has had numerous other high-profile problems and accidents. In 2004, Spectra’s Moss Bluff underground natural gas storage reservoir outside of Houston, Texas experienced a catastrophic failure with two explosions, six and one-half days of fire, and two evacuations. An estimated six billion cubic feet of natural gas was consumed during the fire. 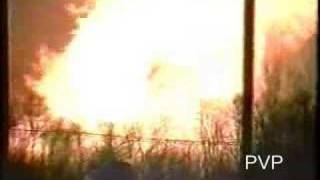 In 1994, Spectra (under its prior name) had a pipeline explode in Durham Woods, New Jersey leveling eight apartment buildings, damaging six others, melting cars, destroying 300 homes, burning 100 people, injuring scores more, and killing one person. Over 2,000 residents filed lawsuits, and by 2000, the company had paid nearly $65 million in settlements. On April 27, 1985, a methane pipeline explosion in Beaumont, Kentucky killed at least five people, seriously burned three others, generated a crater that was 100 feet long, 30 feet wide and 20 feet deep, flattened buildings including five homes and a sawmill, and ignited fires that could be seen 20 miles away. One square mile was devastated by the blast. A similar explosion occurred in Lancaster, Kentucky on February 21, 1986 that injured three people, two seriously, required the evacuation of 77 people, and destroyed three homes, other buildings and automobiles. 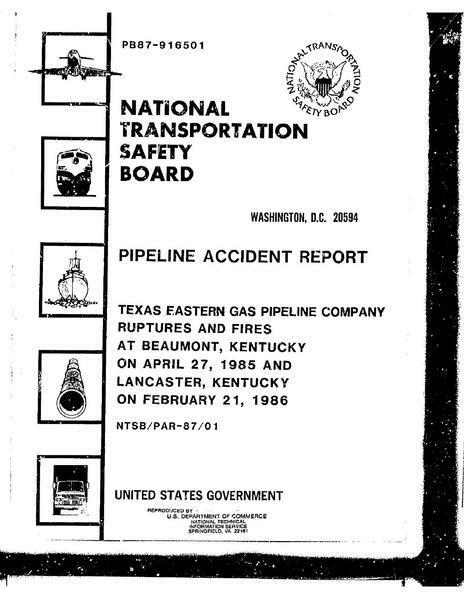 The force of the explosion ripped 480 feet of pipe out of the ground, The National Transportation Safety Board found that the probable cause of these explosions was a failure to inspect and repair corroded pipes — the very items about which Spectra was just warned again in PHMSA’s 2012 order noted above. The natural gas pipeline industry as a whole has also suffered numerous catastrophic incidents. This includes pipelines operated by Transco, the very company whose pipeline will connect to the Pipeline. 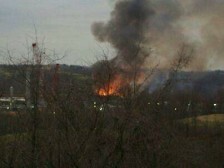 For example, in early December 2011, a Transco pipeline exploded. The explosion could be heard 30 miles away, caused flames to rise 100 feet for over an hour, left a crater more than 50 feet wide, destroyed over 65 acres of trees, fried five acres of soil into pottery, and launched a 43 foot pipe section over 80-foot tall trees, landing 190 feet away. In 2008, a Transco pipeline failed, resulting in a large fireball that caused a 37-foot wide, 15-foot deep crater, a burn zone 1,125 feet in diameter, destruction of two homes, damage to many other homes, injuries to five people, and the evacuation of 23 families near Appomattox, Virginia. One year later, the PHMSA fined Transco almost $1,000,000 for the explosion. Transco continues to violate safety regulations in the operation of its pipelines and related facilities. On October 26, 2012, PHMSA fined Transco $74,300 for failing to provide and maintain fire protection and for failing to properly inspect pipeline surfaces and components for corrosion at its LNG facility in Carlstadt, New Jersey. As of the date of this letter, we are aware of at least two Georgia counties (Dougherty and Terrell) and one Georgia city (Albany) whose elected officials have passed resolutions opposing the Project, based largely on the combination of factors described above. We would strongly encourage FERC to heed the concerns expressed by these public officials. 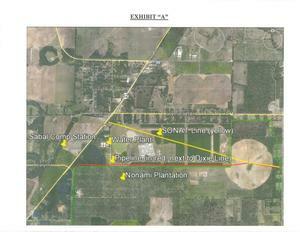 In summary, Nonami urges FERC to investigate whether the Project is truly necessary, require pursuit of alternative routes such as the FGT Panhandle Route if necessity can be conclusively demonstrated, and fully and thoroughly investigate the potential public health, safety and environmental risks associated with locating the Pipeline and Station in both Dougherty County, Georgia and on/adjacent to the Property. letter or its contents, please contact me at 404-588-0505 or jmarks@dpsslegal.com.